Good timing with Halloween approaching! 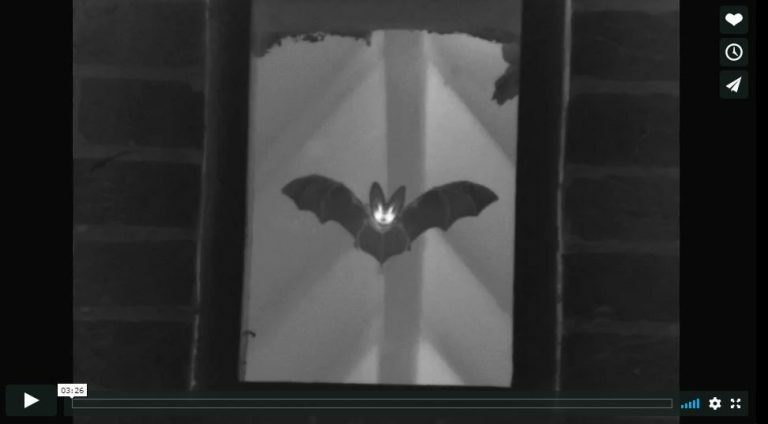 What wonderful footage captured of a Brown long-eared bat roost! The camera captures the bats warming up in flight and preparing to leave the roost. You can see that the bats which have been flying for a while end up with cold limbs and semi-transparent wings. No one knows why this is….take a look – what’s your theory? CEC carries out bat surveys, from the initial visual assessment (Bat and Barn Owl Survey) all the way to obtaining a European Protected Species Licence for disturbance or destruction of a bat roost. For more information click here or call our ‘Bat Team’ on 01872 245510.